Sleek. Stylish. Sophisticated. The Kershaw Crown 3160 knife is truly a knife for gentlemen. The 8CR13MoV steel of the blade and bolsters have a stain finish that is beautifully set off by the polished Micarta handle. The Crown 3160 is not just a good looking knife; it is also a highly functional tool. 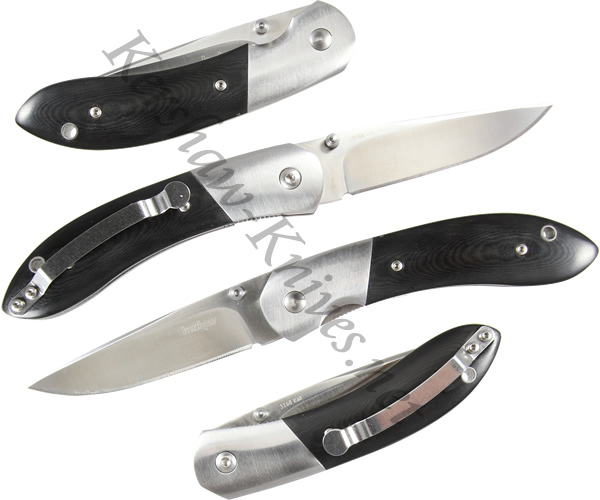 It has ambidextrous thumbstuds that allow it to be easily opened by both lefties and righties. The liner locking system ensures that the blade remains open while in use. Carrying options include utilizing the pocket clip or placing the Crown on a lanyard.